When the security forces were sealing the area, militants hiding there started firing with automatic weapons, police added. 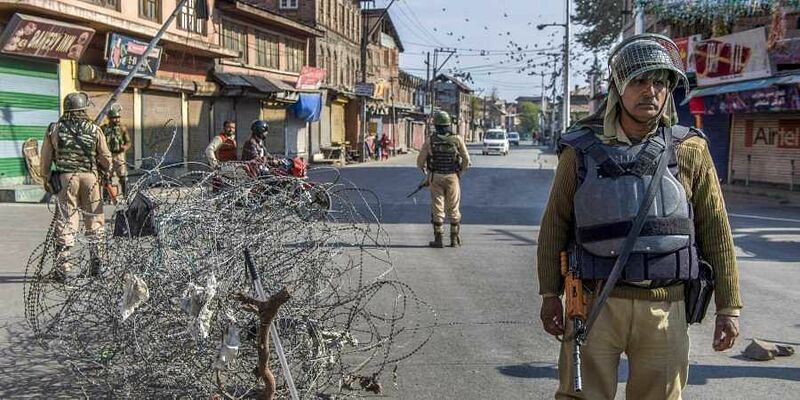 SRINAGAR: One militant had been gunned down after a fierce encounter ensued between militants and security forces during Cordon and Search Operation (CASO) in south Kashmir district of Pulwama on Saturday, a police spokesman said. He said that the troops of Army, Special Operation Group (SOG) of Jammu and Kashmir police and CRPF launched a joint search operation in a village in Pulwama in the wee hours of Saturday following a tip off about the presence of militants. However, when the security forces were sealing the area, militants hiding there started firing with automatic weapons, police added. The security forces also retaliated ensuing in an encounter. He said that the operation was going on when the reports last came in.